"WOMEN must bath occasionally, shave-off their hair, dress shabbily and get circumcised to make them less attractive to men, a Senator has proposed during a conference on HIV." 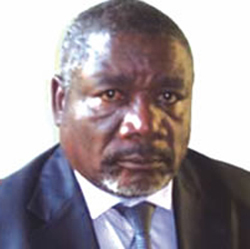 Morgan Femai, the MDC-T senator for Chikomo, recently proposed this to curb HIV/AIDS. Because men simply can't resist attractive women. That's a bit weak isn't it? Ok sure, we'll do that then. NOT. This takes us back to the SLUTWALK argument. It's not the way women dress, it's how men think. Not all men of course. People, sorry chauvinistic a-holes like these, should not be allowed to make ANY political, social or ANY decisions for that matter. Androgynous or just plain misogynistic?